There is today much misunderstanding of the meaning of the term “Magick.” Many attempts have been made to define it, but perhaps the best for our present purpose of historical-ideological exposition will be this—Magick is the Science of the Incommensurables. This is one of the many restricted uses of the word; one suited to the present purpose. It is particularly to be noted that Magick, so often mixed up in the popular idea of a religion, has nothing to do with it. It is, in fact, the exact opposite of religion; it is, even more than Physical Science, its irreconcilable enemy. Let us define this difference clearly. Magick investigates the laws of Nature with the idea of making use of them. It only differs from “profane” science by always keeping ahead of it. As Fraser has shown, Magick is science in the tentative stage; but it may be, and often is, more than this. It is science which, for one reason or another, cannot be declared to the profane. The History of Magick has never been seriously attempted. For one reason, only initiates pledged to secrecy know much about it; for another, every historian has been talking about some more or less conventional idea of Magick, not of the thing itself. But Magick has led the world from before the beginning of history, if only for the reason that Magick has always been the mother of Science. It is, therefore, of extreme importance that some effort should be made to understand something of the subject; and there is, therefore, no apology necessary for essaying this brief outline of its historical aspects. * A few amendments—very few—have been necessitated by the lapse of time. It is customary to describe these three Schools as Yellow, Black, and White. The first thing necessary is to warn the reader that they must by no means be confounded with racial distinctions of colour; and they correspond still less with conventional symbols such as yellow caps, yellow robes, black magick, white witchcraft, and the like. The danger is only the greater that these analogies are often as alluring as the prove on examination to be misleading. These Schools represent three perfectly distinct and contrary theories of the Universe, and, therefore, practices of spiritual science. The magical formula of each is as precise as a theorem of trigonometry. Each assumes as fundamental a certain law of Nature, and the subject is complicated by the fact that each School, in a certain sense, admits the formulæ of the other two. It merely regards them as in some way incomplete, secondary, or illusory. Now, as will be seen later, the Yellow School stand aloof from the other two by the nature of its postulates. But the Black School and the White are always more or less in active conflict; and it is because just at this moment that conflict is approaching a climax that it is necessary to write this essay. The adepts of the White School consider the present danger to mankind so great that they are prepared to abandon their traditional policy of silence, in order to enlist in their ranks the profane of every nation. We are in possession of a certain mystical document* which we may describe briefly, for convenience sake, as an Apocalypse of which we hold the keys, thanks to the intervention of the Master who has appeared at this grave conjuncture of Fate. This document consists of a series of visions, in which we hear the various Intelligences whose nature it would be hard to define, but who are at the very least endowed with knowledge and power far beyond anything that we are accustomed to regard as proper to the human race. We must quote a passage from one of the most important of these documents. The doctrine is conveyed, as is customary among Initiates, in the form of a parable. Those who have attained even a mediocre degree of enlightenment are aware that the crude belief of the faithful, and the crude infidelity of the scoffer, with regard to matters of fact, are merely childish. Every incident in Nature, true or false, possesses a spiritual significance. It is this significance, and only this significance, that possesses any philosophical value to the Initiate. The orthodox need not be shocked, and the enlightened need not be contemptuous, to learn that the passage which we are about to quote, is a parable based on the least decorous of the Biblical legends which refer to Noah.1 It simply captures for its own purposes the convenience of Scripture. And a voice cries: Cursed be he that shall uncover the nakedness of the Most High, for he is drunken upon the wine that is the blood of the adepts. And BABALON hath lulled him to sleep upon her breast, and she hath fled away, and left him naked, and she hath called her children together saying: Come up with me, and let us make a mock of the nakedness of the Most High. We are now ready to study the philosophical bases of these three Schools. We must, however, enter a caveat against too literal an interpretation, even of the parable. 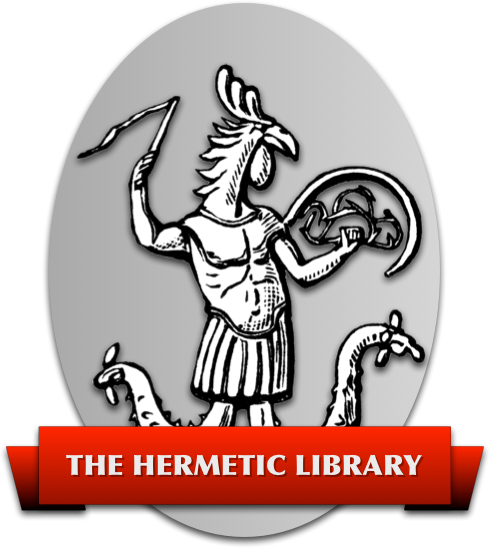 It may be suspected, for reasons which should be apparent after further investigation of the doctrines of the Three Schools, that this parable was invented by an Intelligence of the Black School, who was aware of his iniquity, and thought to transform it into righteousness by the alchemy of making a boast of it. The intelligent reader will note the insidious attempt to identify the doctrine of the Black School with the kind of black magic that is commonly called Diabolism. In other words, this parable is itself an example of an exceedingly subtle black magical operation, and the contemplation of such devices carried far enough beings us to an understanding of the astoundingly ophidian processes of Magicians. Let not the profane reader dismiss such subtleties from his mind as negligible nonsense. It is cunning of this kind that determines the price of potatoes. The above digression is perhaps not so inexcusable as it may seem on a first reading. Careful study of it should reveal the nature of the thought-processes which are habitually used by the secret Masters of the human race to determine its destiny. When everyone has done laughing, I will ask you to compare the real effects produced on the course of human affairs by Caesar, Attila, and Napoleon, on the one hand; of Plato, the Encyclopaedists, and Karl Marx* on the other. The Yellow School of Magick considers, with complete scientific and philosophical detachment, the fact of the Universe as a fact. Being itself apart of that Universe, it realizes its impotence to alter the totality in the smallest degree. To put it vulgarly, it does not try to raise itself from the ground by pulling at its socks. It therefore opposes to the current of phenomena no reaction either of hatred or of sympathy. So far as it attempts to influence the course of events at all, it does so in the only intelligent way conceivable. It seeks to diminish internal friction. It remains, therefore, in a contemplative attitude. To use the terms of Western philosophy, there is in its attitude something of the stoicism of Zeno; or of the Pickwickianism, if I may use the term, of Epicurus. The ideal reaction to phenomena is that of perfect elasticity. It possesses something of the cold-bloodedness of mathematics; and for this reason it seems fair to say, for the purposes of elementary study, that Pythagoras is its most adequate exponent in European philosophy. It is impossible to find any religion which adequately represents the thought of this masterpiece. Not only is religion as such repugnant to science and philosophy, but from the very nature of the tenets of the Yellow School, its adherents are not going to put themselves to any inconvenience for the enlightenment of a lot of people whom they consider to be hopeless fools. At the same time, the theory of religion, as such, being a tissue of falsehood, the only real strength of any religion is derived from its pilferings of Magical doctrine; and, religious persons being by definition entirely unscrupulous, it follows that any given religion is likely to contain scraps of Magical doctrine, filched more or less haphazard from one school or the other as occasion serves. Let the reader, therefore, beware most seriously of trying to get a grasp of this subject by means of siren analogies. Taoism has as little to do with the Tao Teh King as the Catholic Church with the Gospel. X 3 Here is the Mystery of Virtue. It createth all and nourisheth all; yet it doth not adhere to them. It operateth all; but knoweth not of it, nor proclaimeth it; it directeth all, but without conscious control. XXII 2 Therefore the sage concentrateth upon one Will, and it is as a light to the whole world. Hiding himself, he shineth; withdrawing himself, he attracteth notice; humbling himself, he gaineth force to achieve his Will. Because he striveth not, no man may contend against him. XLIII 1 The softest substance hunteth down the hardest. The Unsubstantial penetrateth where there is no opening. Here is the Virtue of Inertia. 2 Few are they who attain: whose speech is Silence, whose Work is Inertia. XLVIII 3 He who attracteth to himself all that is under Heaven doth so without effort. He who maketh effort is not able to attract it. LVIII 3 The wise man is foursquare and avoideth aggression; his corners do not injure others. He moveth in a straight line, and turneth not aside therefrom; he is brilliant, but doth not blind with his brightness. LXIII 2 Do great things while they are yet small, hard things while they are yet easy; for all things, how great or hard soever, have a beginning when they are little and easy. So thus the wise man accomplisheth the greatest tasks without undertaking anything important. LXXVI 2 So then rigidity and hardness are the stigmata of death; elasticity and adaptability of life. 3 He then who putteth forth strength is not victorious; even as a strong tree filleth the embrace. 4 Thus the hard and rigid have the inferior place, the soft and elastic the superior. Enough, I think, for this part of the essay. * It is interesting to note that the three greatest influences in the world today are those of Teutonic Hebrews: Marx, Hertz, and Freud. 2: This volume is now virtually unobtainable. See rather Equinox IV (2), The Vision and the Voice with Commentary and other papers, York Beach, Maine: Samuel Weiser, 1998. The passage quoted appears in the 6th Æthyr – T.S..
3: This note is from Crowley's commentary to The Vision and the Voice (see references in note above). Also, in a marginal note to his copy of Equinox I (5), Crowley wrote against “… or if the three schools be not one.” the remark: “They are. Θηριον 9○=2□”, implying that having become a Magus he now did know this – T.S. 4: All these quotations are from Crowley's rendition of the Tao Teh King (Liber CLVII), for more information on which see Letter XXXV – T.S. 5: This footnote is obsolete. The “Tao Teh King” was published as Equinox III (8), 1975 e.v. by H.P.S. – WEH. Also as Aleister Crowley's Tao Teh King, edited by Stephen Skinner, London: Askin and New York: Samuel Weiser, 1976, and a new edition (also with the Equinox series title, and with Crowley's Liber XXI in an appendix) Weiser, 1995 – T.S.